Despite Supergirl debuting to record-breaking viewership figures, the show experienced a large drop in the ratings as the series progressed. After the first season, CBS has decided to move Supergirl to The CW, where Season 2 will premiere in October alongside new seasons of fellow DC Comics series Arrow, The Flash, and Legends of Tomorrow. 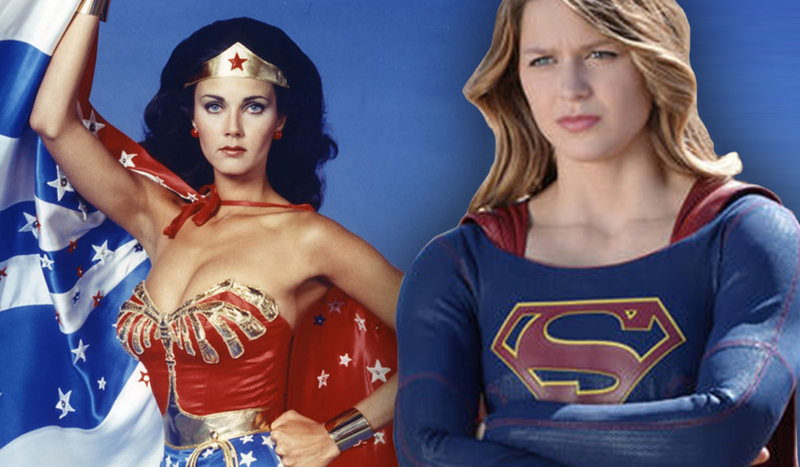 Along side the story of Kara Danvers revealing her powers to the world and juggling superheroism with the difficulties of everyday life – the producers had hoped to introduce Wonder Woman TV star Lynda Carter as the President of the United States. Unfortunately due to timings this never happened. The Ex-Superheroine has since confirmed that she will appear in season 2. Now, a new image from the set of the new Supergirl season gives us our first look at TV’s Wonder Woman in the presidential role. I can't wait to see the actress who played the most famous Superheroine from the DC Universe appear in a current Superhero TV Series. Virtually anybody and everybody who knows anything about Superhero Comics would surely agree that Lynda Carter IS and probably always WILL be known as 'Wonder Woman' and for her to now play The President of the United States is just perfect. I really hope she becomes a reoccurring character.